At 7 months pregnant when we purchased our babies travel system, I didn’t think that 9 months later I would be going back out to buy a stroller. I thought that the mega bucks we were spending on the system would be all that we needed – I was very wrong! Fast forward 9 months, and having just booked our first holiday, I spoke to some friends who had been away with their babies and they asked if I had thought about what stroller I was going to get. I spoke to my husband who thought it was absurd that we needed something else, so off we went to Mothercare to test drive some strollers and see what the hype was about. 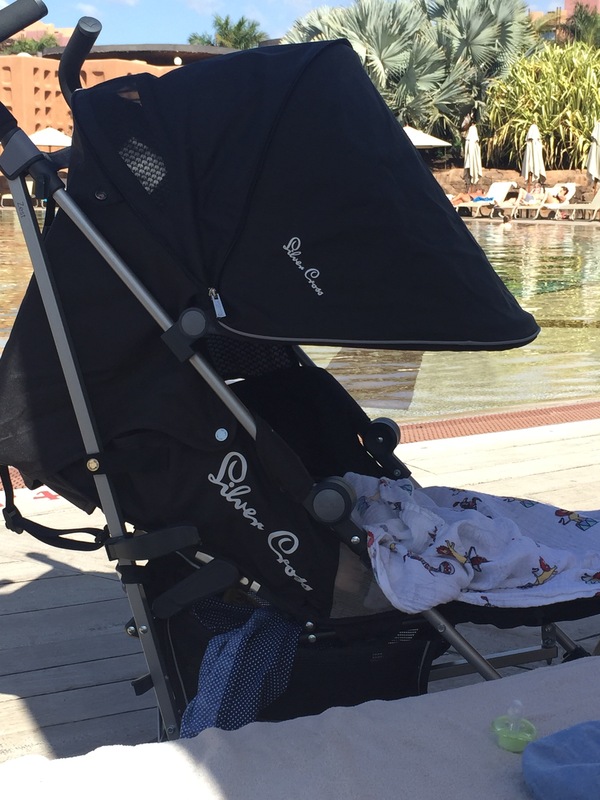 We tested quite a few different strollers, and still weren’t convinced – we just couldn’t work out what we needed it for – but that said, we hadn’t been on holiday with a baby before. 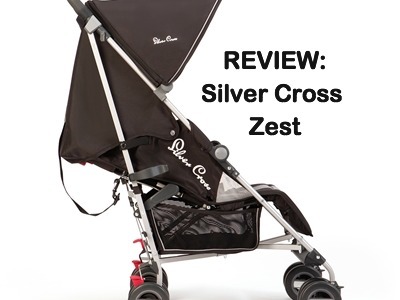 We purchased the Silver Cross Zest after looking at a range of strollers. It wasn’t the cheapest on the market, but had many ticked a lot of boxes that many strollers didn’t in terms of practicality and how long it should last. Begrudgingly we handed over our money. Fast forward to the end of our holiday, and oh my god, we would not have coped without it! As we were taking the stroller abroad, we wanted to make sure it was lightweight and compact. The Zest weighs 5.8kg so is very lightweight, however remains sturdy at the same time. We were really impressed by the look of the Zest. It was a very classic design, without any over powering details. It came in a range of colours – we went for black, and it had a beautiful elephant design in the hood – which kept the little man thoroughly entertained. One of the key reasons we went for the Zest was due to the fact it can be used from birth to 25kg, meaning that we shouldn’t need to purchase another stroller, and can use this for our next child too (if we are ever crazy enough!). The Zest is very practical, especially for use on holiday. As well as being lightweight, it comes with a fully extendible hood with UPF50+ sun protection, as well as mesh ventilated sides which means your baby does not overheat. The seat has a full lie flat position which is extremely helpful for nap times. Plus, it can be manoeuvred one handed quite easily! When closed, the Zest folds up very small, which can be done one handed. It comes with a carry strap for easy transportation. The only downside for me was that it didn’t come with a cover for the airport to stop it getting dirty when in the hold. The Silver Cross Zest has a normal retail value of £145, however we were lucky we found an offer and purchased it at £120. 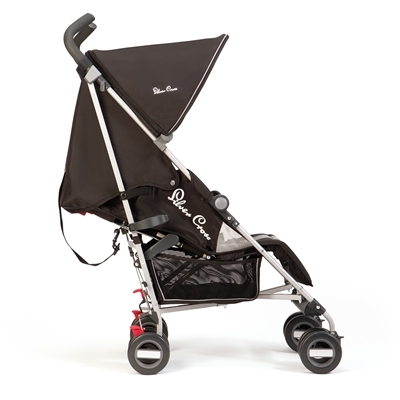 Although this isn’t the cheapest of the strollers we saw, the extra features it offers makes it great value for money. It was easy to use in and around the airport, with the basket being very handy to store extra items. We used the lie flat position and the fully extendible hood during nap times, and also in the evenings when he was asleep and we were out for dinner. The large hood meant that we didn’t need a blanket on top of the pushchair to stop light going into it – something that we saw many parents having to do with their various strollers. I worried about the seat getting hot when it was in the sun, but once again the hood did what it was supposed to and he remained cool at all times. Overall, we loved the Zest, and can’t imagine a holiday without it. So much so, that a few of our friends have also gone out and bought the same stroller after hearing us rave about it so much! We’ll definitely be using it at home, and part of me does wonder why we bought a full travel system when this stroller can be used from birth, fully reclines, is so lightweight, and can be used for so long! ← The first month of our weaning journey…….